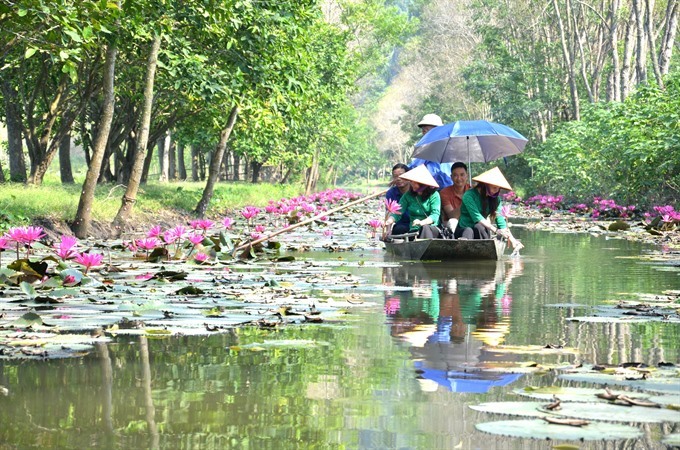 Áu Stream in Vĩnh An Commune is the only area where caltrops grow in the central province of Thanh Hóa. In recent years, the stream has become an attractive destination to visitors, particularly in the beautiful autumn weather. 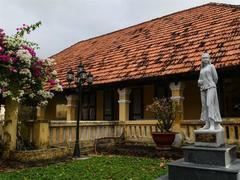 Located 35 kilometres from Thanh Hóa City, Áu Stream possesses a pristine beauty. It is named after caltrops or áu in Vietnamese, which grow abundantly in the stream. The nuts have become a local speciality and helped improve locals’ lives. The area with caltrops is the water lying on the foot of the Bèn Moutain which is located within two communes – Vĩnh Minh and Vĩnh An. The water, which is about one to three metres deep, runs from the mountain creeks. 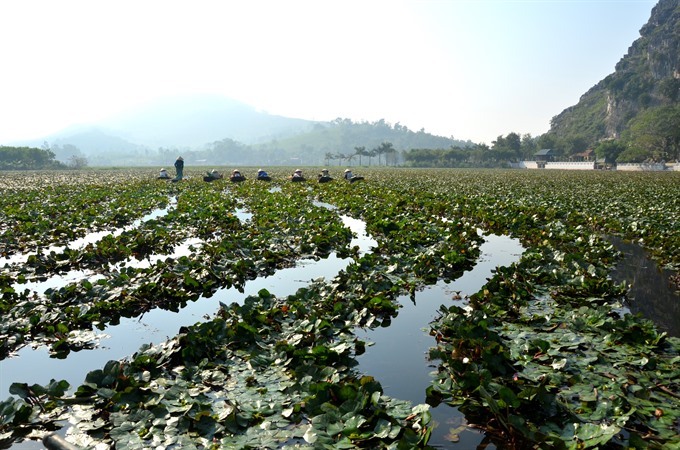 On Áu Stream, the locals also grow water lilies. In full blossom season, the stream is dyed with the sparkling pink of the flowers. Arriving at the stream in autumn, besides contemplating the flowers, the visitors can also experience local life by joining their daily activities like harvesting caltrops, fishing or tasting local cuisine. Glorious: The scenery of Au Stream in autumn is like a peaceful painting of nature. “I’m very pleased with my first visit to Áu Stream. 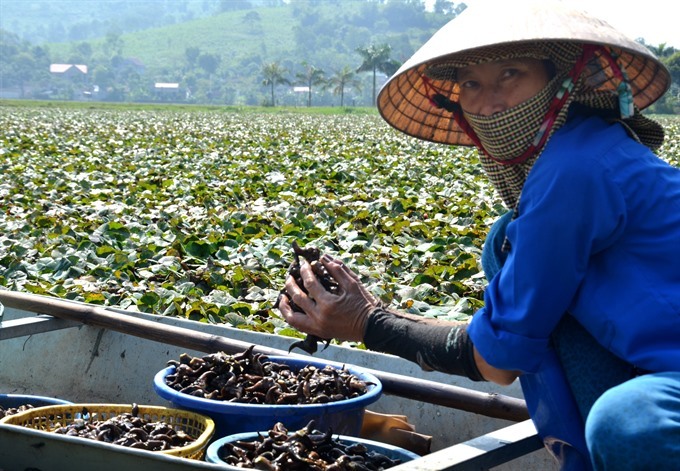 I had chance to sit on the boats with the villagers to harvest the caltrops, boil the nuts myself and enjoy the original taste that has been deeply associated with my childhood memories,” said Le Thị Linh, a visitor from Thanh Hóa City. “I’m planning to return to the stream with my friends to create a photo collection to keep memories of the season of caltrops and water lilies there,” she added. The villagers plant caltrops on the stream in early March and harvest the nuts from September to November. In Vĩnh An Commune early this month, amidst the plants growing on nearly 15 ha of the water surface of Áu Village are dozens of villagers harvesting the crops, which will then be sold to traders. The nuts used to be eaten as a snack during between crop periods, however, in the past 10 years, with more tourists coming to Kim Son Landscape Complex, the nuts have become a local speciality to be sold as gifts. Despite their rough appearance, boiled caltrops have an unforgettable sweet taste. According to traditional medical practitioners, the dish has a cooling effect and is very nutritious and healthy. “Caltrop is an easy-to-grow plant that requires little investment. It just needs some fertiliser and proper protection from worms and diseases,” said villager Nguyẽn Van Bình, who has more than 20-year experience growing the plant. Photo op: Water lilies in full bloom attract many visitors to Au Stream. “Despite easy nurturing, harvesting the nuts is a hard job. The nuts start to ripen at the end of autumn and in early winter, when the weather starts to turn cold. The farmers have to sit on small boats and row along the plant roots to collect the nuts. 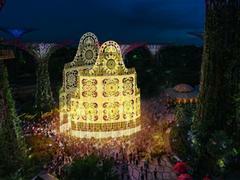 If they are not harvested in time, the nuts will fall out of their plants and sink into the mud,” he explained. “The villagers in Vĩnh An Commune harvest around 30 tonnes of caltrops yearly,” said Hà Tién Dũng, the chairman of the commune’s People’s Committee. “In each caltrop harvesting season, many tourists come there to enjoy the fresh air and the poetic scenery around Áu Stream. As a swampy area, Áu Stream has also become a shelter to a variety of animals like storks. The flocks of storks flying around in the sky above the stream often create a peaceful countryside scene. Visitors are advised to bring along food or contact villagers beforehand to reserve local food like carp simmered with salted vegetables, boiled chicken or fried bitter bamboo shots. They should also bring along extra clothes in case of getting wet in the swamp. The villagers there are willing to work as tour guides and treat the visitors like distinguished guests in their homes.